River Roofing Bend installs beautiful quality roofs on both residential and commercial buildings throughout Oregon. The most respected roofing company in Deschutes County with over 4,000 roofs installed. Whether it's new construction, re-roofing or a minor repair, no job is too big or too small. 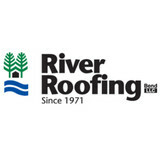 At River Roofing our motto is, "We've Got You Covered." The ways that will live up to that expectation is by giving you our best effort from start to finish. Our staff is top notch and they love what they do. They take pride in putting the best roof on each house one step at a time. Our team of passionate individuals work together through thick and thin to make sure that your house or business is fully ready to withstand various types of weather for years to come. 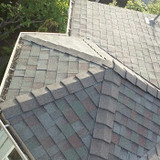 I offer you my sincere Quality Guarantee that River Roofing will give you the best roofing service that we can provide. Give us the opportunity to earn your business and we will make you a customer for life. Deschutes Roofing prides itself on quality work at reasonable prices. Our roofing professionals will treat your roof as they would their own. As owner/ operator, we bring a rich understanding of roofing systems & roof leak repair knowledge to each job to ensure every job is done right, from our free roofing estimate start to our picture perfect finish. Safety & Teamwork are our what we stand by. Quality, Durability, and loyalty to customers is our key component, & so we aim to bring you the out most honest and quality workmanship. Being born and raised in Central Oregon, we take pride in seeing our community grow, expand & evolve. 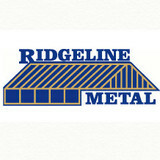 At Ridgeline Metal, we’re big on accountability and taking responsibility. One thing we hang our hat on is the fact that we are able to trace our products back to their origin. We know exactly where we got our materials and who to go to if our customers have a problem down the line. Ridgeline Metal offers custom metal roofing and metal siding made from premium materials that are perfect for homes, garages and other residential buildings. Custom metal roofing and metal siding from Ridgeline Metal stands up to the harshest elements from the coldest, snowiest climates to the hottest and most humid. Steel roofing’s durability makes it significantly less expensive to own over the lifetime of your home. Pair that with a 40-year paint warranty and you have the perfect residential alternative to composition roofing. Resist-All Seamless Gutters installs more gutters in Bend and Central Oregon than any other company. One of the reasons Resist-All Seamless Gutters installs so many gutter systems is because we guarantee the strongest installation in Central Oregon because your peace of mind matters to us. Newer company we are offering deals to better establish our name in Quality and Care for our roofs. Lead foreman for over 10 years knows a lot about every type of roof. Established in 1919, McMurray and Sons, Inc., is a family owned and operated business that has over four generations of experience in the roofing industry. Our contractors provide the highest quality roofing, energy efficiency, and comfort systems in the Oregon and California border area. Our professionals have been successful for so long for one simple reason: in every project we undertake, our goal is to provide the highest quality service in order to maximize customer satisfaction. PREMIUM ROOF SERVICES is your full-service, certified roofing contractor with over 25 years of experience in ALL types of roofing and waterproofing. We specialize in building envelope weatherproofing, roof restoration, maintenance, and energy management. Protect your investment with a reliable, high-quality roof installed by the best of craftsmen. Don't wait, call us today to discuss your options! Taylor Roofing is locally owned and operated by Tim Taylor for over 15 years serving the Central Oregon area with high quality roofs for all residential and commercial types. * Residential Re-Roofs * New Construction * All Roof Types * Commercial * Repair * Roof Snow Removal We are small enough to be personal but able to handle all types of roofing projects. Customer service is a high priority for us. When you schedule a Free estimate with us, we commit to you that it will be a no-pressure experience. We also guarantee the quality of our work. You can have confidence in your project knowing that Tim Taylor will be personally overseeing and leading the project. Our team is committed to bringing you the best experience and quality at an affordable price. Taylor Roofing is licensed, bonded, and insured. Our CCB# is 169256. We offer residential and commercial roofing services in Bend, Redmond, La Pine, Sunriver, and all of central Oregon. We serve new construction, re-roofs, repairs and snow removal. We offer the finest products available including: composite, shake, metal, and tile roofing supplies. We guarantee our work and offer a 10 year warranty on all products and services. If you have any questions, contact Tim directly. Bend Roofing Service in Bend, Oregon is the number one roof repair service in the area. They will go above and beyond the competition at every step of the roofing process, from the original estimate to the repair, installation, cleanup and inspection to ensure that your new roof meets and exceeds your expectations. While installing an amazing product, we strive to beat the price of most of the roofers in Bend and Central Oregon with our roof repairs and installs. Your roofing repair needs will be met with our quality service. Our roofing contractors bring our customers the best quality service, with premium roofing materials. We work closely with you to make sure that you get the best roof possible every time. We also are experts at working with insurance companies when needed. Our roofers are trained in the proper installation of all materials to ensure all warranties are in effect. When we finish we clean up the jobsite as if we owned it. From gutters to underlayment and shingles, each step is carefully executed to create a beautiful and long-lasting roof. You get a beautiful top quality roof, and we don't leave a mess of nails or other debris to distract from the beauty of your home. Selecting the right roofing contractor is critical. Don’t let your home improvement project become a major headache. Make sure you choose the right Bend, Oregon roofing contractor, whether you’re considering roof repair, replacement or even gutter cleaning. CBX is your ultimate choice for top-notch roofing and hail damage repair services. You can count on us for reliable residential and commercial roofing solutions too. We use larger crews than average roofing company. We take pride in finishing jobs in a timely and professional manner. We never cut corners and ensure a clean property when we finish. Our family-run business is located in Bend, OR. For additional questions, you can either give us a call at 541-241-8670 or send us an email at columbiabasinext@gmail.com. McMurray and Sons, Inc is a fourth generation family-owned and operated roofing and HVAC company servicing the Pacific Northwest. Established in 1919, our roofing contractors began by specializing in residential roofing services and expanded to commercial and industrial roofing services in the 1960s. For the past two decades, we have also provided high quality HVAC services. Our contractors are also adept at a number of energy performance services including energy performance testing, insulation, and solar panel installation. What do roofing companies in Black Butte Ranch, OR do? Your Black Butte Ranch, OR roofing contractor can install a new roof or repair an old one, as well as repair and replace gutters. Good roofers in Black Butte Ranch, OR should be able to promptly inspect roofs and gutters to assess damage after a natural disaster or other event, and give you an estimate for the necessary roof repair immediately. Some Black Butte Ranch roofing companies specialize in specific types of roofs, such as tile or metal, so make sure the one you are interested in works with the materials you have or desire. Find a Black Butte Ranch roofer on Houzz. Narrow your search in the Professionals section of the website to roofing companies in Black Butte Ranch, OR. If you’re planning a large-scale project, find other professionals on Houzz who can help get the job done. Here are some related professionals and vendors to complement the work of roofing & gutters: General Contractors, Specialty Contractors, Siding & Exteriors, Door Sales & Installation, Garage Door Sales & Installation.